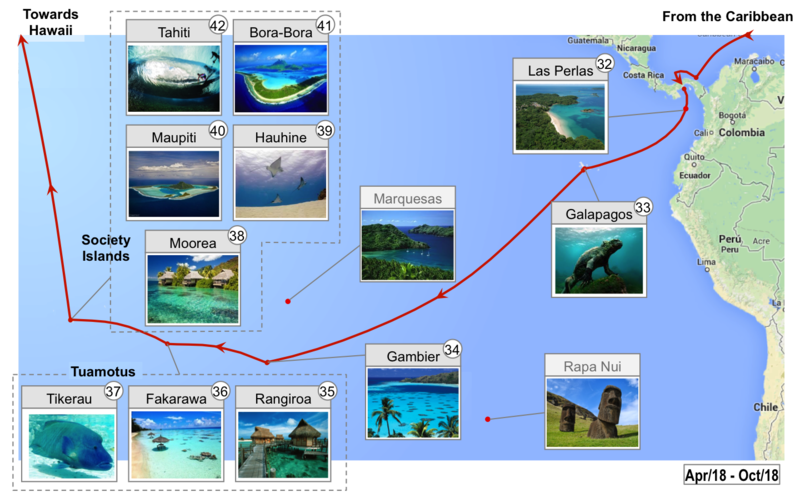 Well, it includes Galapagos and the French Polynesia. Do you need anything else? We expect to visit the giant tortoises, dive with hammerheads and surf with sea lions at Galapagos, dive with dolphins and sharks alltogether at the Fakarawa, find some unexplored surfing spots at the Tuamotus, kite at Maupiti pass and other Society islands and much more. This is where some more remote locations start to show up and the real exploring part begins for us.